Spring is coming early this year. 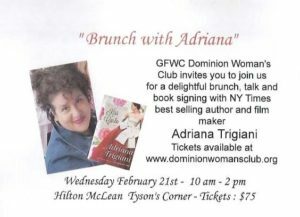 Join Dominion Woman’s Club for a delightful brunch, talk and book signing with N.Y Times best-selling author and film maker, Adriana Trigiani on February 21st, 2018. Tickets are $75 and all proceeds support Dominion Woman’s Club charities. Don’t forget to tell family and friends that they can participate also! 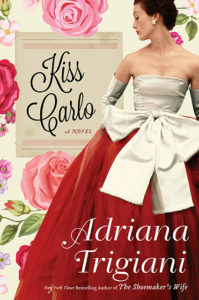 Her latest novel is Kiss Carlo, described as “a delightfully sprawling comedy full of extended families, in all their cocooning warmth and suffocating expectations” (Kirkus) published in June, 2017. 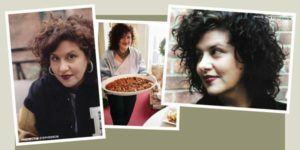 She lives in New York City with her family and their rescue pets. Adriana speaks to book clubs and classrooms regularly. GFWC DWC is a 501 (c) (3) organization and your contribution may be claimed as a charitable deduction for tax purposes. Please consult your tax consultant to determine the appropriate amount to deduct.